Eurocom announced today plans to take a bite out of the Apple Macbook Pro 15 market with their launch of the Q5. Powered by design and innovation, the Q5 provides a customized high performing laptop at a fraction of the cost of the MacBook Pro 15. •	Q5 is as unique as their user. Customers can build a highly-customized configurated laptop with us and the processing time is just a matter of days. •	Featuring real heavy duty technology. 15.6-inch 4K UltraHD 60Hz 3840-by-2160, FHD 60Hz 1920-by-1080 or FHD 120Hz 1920x1080. 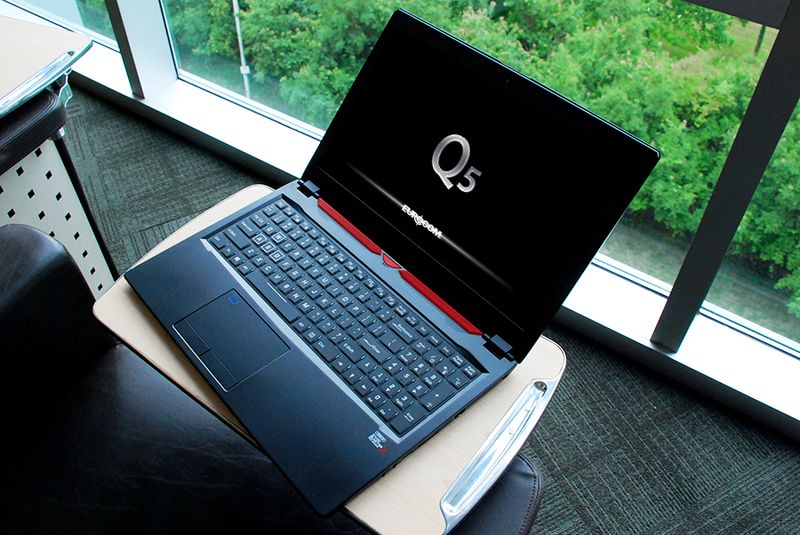 •	“The Q5 is designed for real creators. With faster graphics performance, wider variety of ports, and easy serviceability and customization, you will get all the power you need in this laptop,” says Mark Bialic, Eurocom President. •	Starting from $1599 the Q5 provides real heavy duty technology at a fraction of the price of the Apple Macbook Pro 15 which retails starting at $3699. •	Experience real savings. Students will receive 10% discount on their purchase. •	A trade-in program is also available for qualified devices.